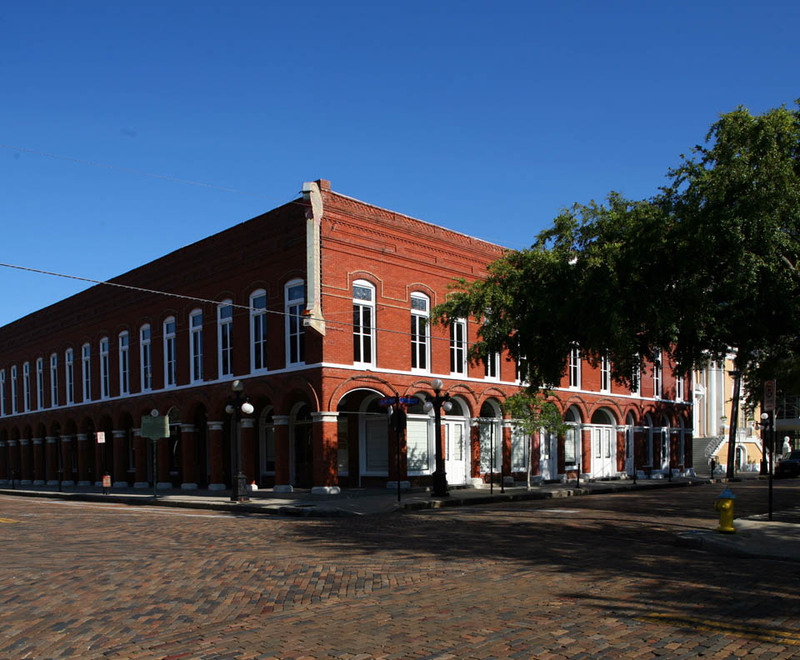 The building on the corner of 9th Avenue and 14th Street, known as El Pasaje, was built in 1888, making it one of the first buildings built in Ybor City. It was built by Vicente Martinez Ybor and used as his offices as he planned the construction of Ybor and ran his nearby cigar factory. Throughout the course of its history, it has been used as an office building, hotel, restaurant, bar, speakeasy, and military recruiting station. 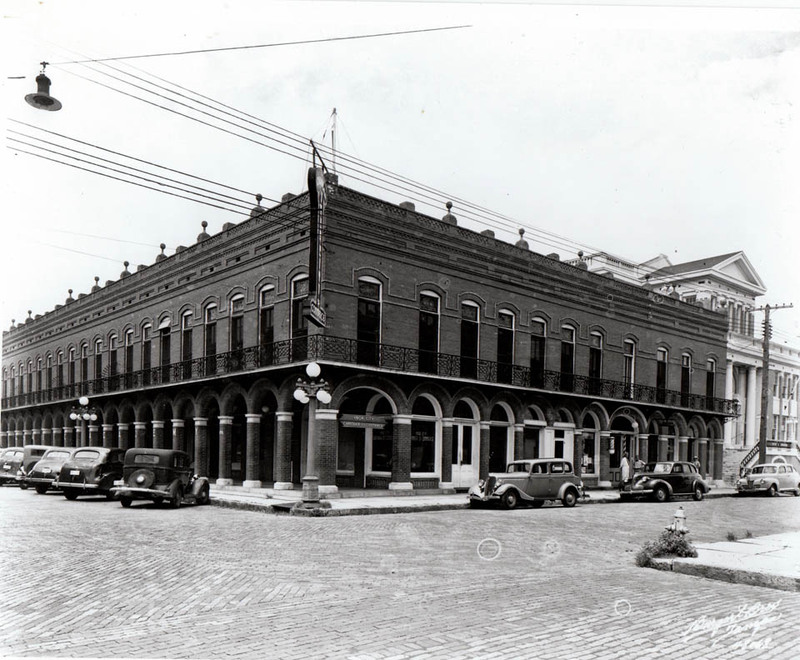 When the historic photo was taken, in 1941, the building was being used as the Ybor City Chamber of Commerce. Notice the Cuban Club on the right side of the photo.